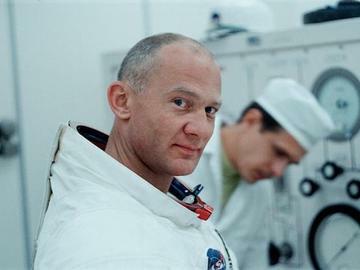 This widely acclaimed NYT Critics' Pick from Emmy-winning director Todd Douglas Miller ('DINOSAUR 13') comes just in time for the 50th anniversary of the first moon landing. Crafted from a newly discovered, never screened trove of 70mm footage (think the grand scale of 'LAWRENCE OF ARABIA' and IMAX films), this NEW documentary takes us straight to the heart of NASA’s most celebrated mission. Immersed in the perspectives of the astronauts, the team in Mission Control, and the millions of spectators on the ground, we vividly experience those momentous days and hours in 1969 when humankind took a giant leap into the future. Not with dusty voice-over narration, historians, and present-day interviews, but with crystal clear footage and sound taken from multiple cameras, unfolding the nail-biting story for us as it happened - a fully immersive experience.